Excellent Development Opportunity or take the cash flow now. Four buildings on Three lots all currently rented. Three residential tenants and one business unit. Zoning is B3 located on one of the busier intersections in Rock Springs. 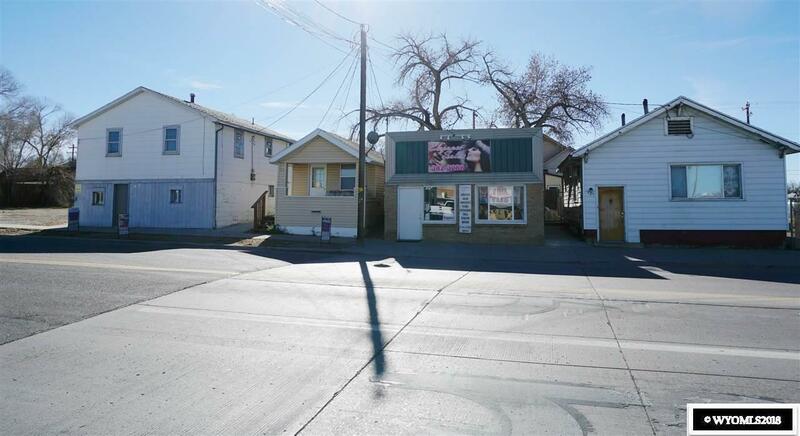 On the corner of Center and Grant, excellent redevelopment opportunity, or take the cash flow with the strong rental history.